Get the grill on for this little beauty. 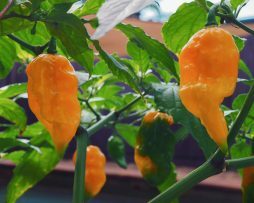 Also referred to as the Aji Brown the pods grow a brown/blackish colour up to 12-14 cms long and 2-3 cms wide with the plant itself growing to a massive 6ft. It’s known for its rich smokey sweet complex flavour that is just perfect for making hot BBQ sauces and rubs. 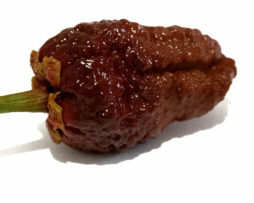 Also an ideal chilli for making a mexican mole which does justice to its chocolate berry flavour. We mostly love these grilled as it brings out the most irresistible smokey flavour imaginable. Grill it with rice, sausage and cheese filling for a flavour sensation. 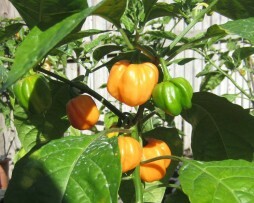 Wow this is one cool chilli pepper from the Bahamas that has become very popular due to its delicious sweet flavour. 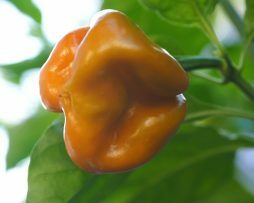 Typically the Goat Pepper is two to three inches in length, slightly squashed like the Scotch bonnet, and peach in color. 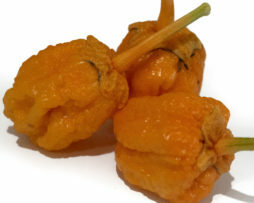 Due to the color and roundness, some people say this chilli pepper looks a little like a miniature pumpkin. Barbara’s Antipodes may be one of the most versatile chillies ever! 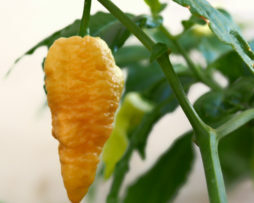 It is the unusual but deliberate cross of a Sweet Bell Pepper and a Bhut Jolokia. It was bred by Florian Hauch in Germany back in 2007. Since then he has grown it to at least F11 so it’s completely stable. Florian generously gave some of his seeds exclusively to us at Chilli Seedz. 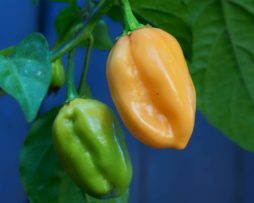 We would say it tastes like a really good Capsicum, sweet and juicy with a really good mellow punch of heat. To put it short, it’s brilliant! Salads, stir fry and, being about one third the size of a big capsicum, is great for stuffing. The possibilities are endless and you guys are going to be the first in Australia to have it! Germination rate is down a little, about 70%. Still great! Tasting nothing like a Pumpkin this little beast is a treasure. Another hot as hell Bubblegum variety that is guaranteed to impress. The BBG Pumpkin is a cross between a BBG Red and a Minorcan Datil. Surprisingly stable for a new cross its much sweeter than most BBG varieties. Pods are shaped and coloured like a pumpkin giving it it’s name. Super rare and we think this one will sell out fast. Whoa this is a thing to behold. 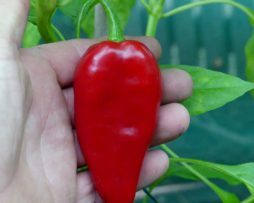 It’s said to originate as an off-type plant in a greenhouse full of Bhut Jolokia, but outside this its a mystery to us. 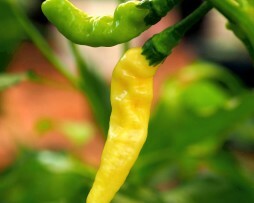 The Bengal Naga Peach has wrinkled skin and can be quite twisty. 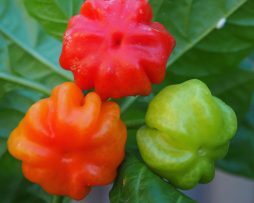 Flavor wise they are sweet as superhots go and deliver a fruity taste that breaks through the savage heat. We love how this one looks but you be the judge if it takes your fancy.